Suddath returns to Baird from Leerink Swann where he led their Healthcare IT and Specialty Healthcare Services franchise. 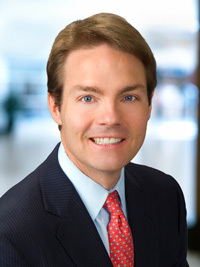 He joined Baird in 2007 as a Managing Director where he was instrumental in establishing and growing the firm’s Healthcare Services banking effort. Prior to Baird, Suddath spent several years at JP Morgan/Hambrecht & Quist. With nearly 20 investment bankers, Baird’s Healthcare Investment Banking team generated great client outcomes and record results for the firm in 2011 and 2012. Healthcare remains a key area of focus at Baird as evidenced by recent additions to its Healthcare Capital Markets, Sales, Trading and Advisory teams. Last month, Baird added Brian Skorney as a Senior Analyst in equity research to join fellow Senior Analyst Chris Raymond in covering Biotechnology stocks. In August, David Schechner joined Baird’s Healthcare investment banking team as a Managing Director. ldquo;Continuing to build Baird’s Healthcare franchise is a strategic priority for the firm, and we are excited by the recent additions to our banking and research teams,” said Doyal. Recognized as the 2011 “Investment Banking Firm of the Year” by The M&A Advisor, Baird is a leading global investment bank focused on the middle market. Approximately 200 investment banking professionals in the U.S., Europe and Asia provide corporations, private equity and venture capital firms with in-depth market knowledge and extensive experience in merger and acquisition and equity financing transactions. Since 2008, Baird has advised on nearly 250 M&A transactions representing approximately $50 billion in transaction value and has served as lead or co-manager on 335 equity offerings raising approximately $98 billion. Baird has received “Deal of the Year” recognitions from The M&A Advisor for eight years running, demonstrating commitment to attaining great outcomes for clients. Baird is an employee-owned, international wealth management, capital markets, private equity and asset management firm with offices in the United States, Europe and Asia. Established in 1919, Baird has more than 2,700 associates serving the needs of individual, corporate, institutional and municipal clients. Baird had $99 billion in client assets on Dec. 31, 2012. Committed to being a great place to work, Baird ranked No. 14 on FORTUNE’s 100 Best Companies to Work For in 2013 – its tenth consecutive year on the list. Baird’s principal operating subsidiaries are Robert W. Baird & Co. in the United States and Robert W. Baird Group Ltd. in Europe. Baird also has an operating subsidiary in Asia supporting Baird’s private equity operations. For more information, please visit Baird’s Web site at rwbaird.com.